Andhra Pradesh Chief Minister N. Chandrababu Naidu has inquired about Kailash Mansarovar Yatra pilgrims from the state, who are stranded in Nepal's Simikot and has ordered officials to provide adequate help. Naidu said that the Real Time Governance Centre (RTGS) officials also spoke to some of the tourists stranded near China border. Meanwhile, the officials at Andhra Pradesh Bhavan in Delhi spoke to the Nepal government officials. 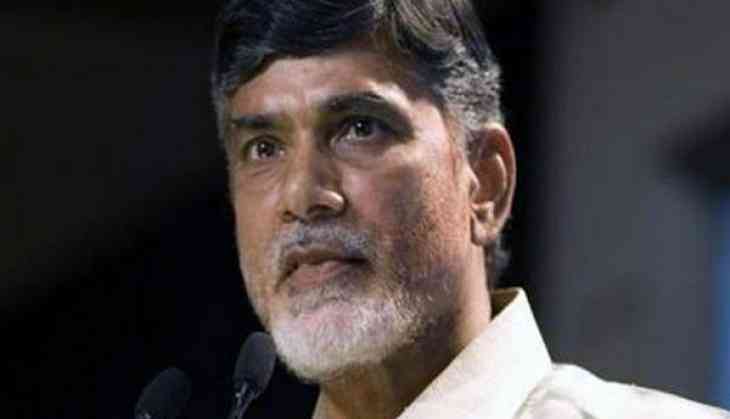 Naidu also assured that the state government officials are contacting officials at the Indian consulate and embassy. However, the Embassy of India in Kathmandu has assured all possible support to pilgrims stranded in Nepal following heavy downpour. The embassy has stationed its representatives in Nepal's Nepalganj and Simikot, who are personally in touch with all the stranded pilgrims and have ensured arrangements for best possible stay and availability of food and water. In Simikot, the embassy has deputed doctors to perform medical check-up and provide aid to elderly pilgrims, according to sources in the Indian embassy in Nepal. The mission is also looking at various alternative routes for evacuation, however, it is not feasible as of now due to inclement weather. According to the sources, the local airlines operating on the route have been requested to ensure availability of extra aircrafts to have maximum possible sorties as soon as the weather clears up so that all stranded pilgrims can be taken back home. Thousands of Indian pilgrims take part in the Kailash Mansarovar Yatra every year via Nepal in the Tibetan Autonomous Region of China ahead of monsoon season.